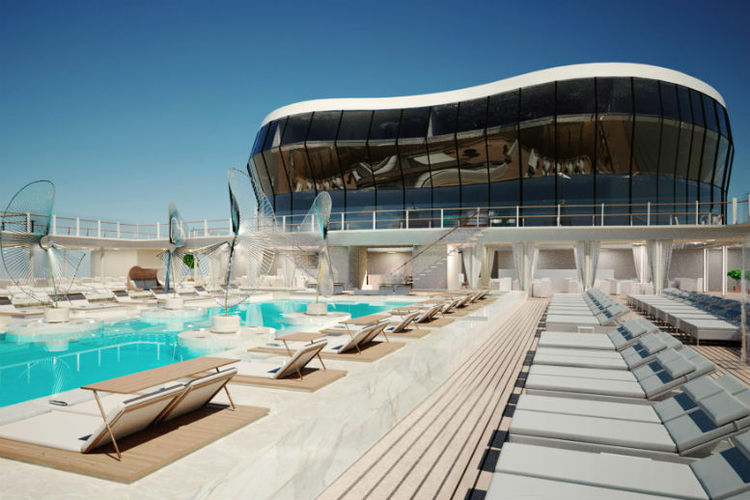 MSC Cruises has confirmed it will base a ship out of the UK again – a year after pulling MSC Opera out of Southampton. The line has not confirmed when it will base a ship back in the UK – nor which vessel it will be – but chief executive Gianni Onorato said MSC would start looking at a return date this year. The news came as MSC announced plans to build two new 6,300-passenger ships, in addition to the two it has on order, which will be known as “Meraviglia Plus” class. The ships will be 16 metres longer, with an additional 200 cabins – 2,444 – compared with the Meraviglia ships. They are due for delivery in November 2019 and April 2020 and will cost €1.6 billion in total. He also paid special thanks to the UK trade in the line’s growth ambitions: “These new ships are testament to the growth ambitions that MSC Cruises has outlined. It is not confirmed where the two new ships will be based, but Onorato said despite their size they would be able to fit in most ports. MSC has also announced a number of new features on the two new ships, including the first fine art museum at sea, which will feature original works of art from European museums. The additional space will also mean an even bigger indoor promenade of 111 meters, a larger LED screen, now 95 meters by six meters and two extra two restaurants. Onorato claimed a 10% year-on-year sales increase in 2015, with 1.7 million passengers. He also predicted a six per cent year-on-year growth for 2016. Elsewhere the line also confirmed MSC Meraviglia would be christened in Le Havre, France. Pierfrancesco Vago, MSC Cruises executive chairman said: “Standing here at the STX France shipyard for the coin ceremony for the 11th time is a reflection of how strong our ties are with France, which is where all the ships of our current fleet were built. This makes MSC Cruises, when it comes to export contracts, the number one foreign private investor in France – having invested over €8 billion over the period."